Golmaal Again 2nd Sunday (10th Day) Collection Update for Morning. Big Start. 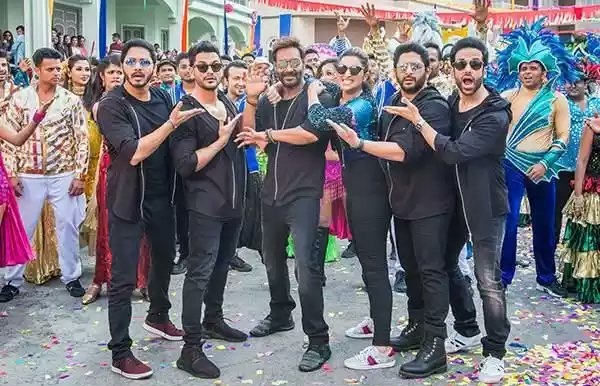 Golmaal Again has taken big start at box office on 2nd Sunday (10th Day) Morning shows across multiplexes. This is great news as film is heading for a big day at ticket counters. Golmaal Again has opened to around 45-50% occupancy in Morning shows. Samples are from multiplexes only. Single screen are not started or just about to start and reports are awaited. When samples of 2nd Sunday are compared to 2nd Saturday then there is big growth of approx 40-45%. Golmaal Again will see big growth again as day progresses. Film should rock in day time. Collection might dip from Evening onward as tomorrow is Monday. Hope film hold strong in Night shows to put up a huge total for the day. Golmaal Again has collected an approx 154+ crore nett in first 9 days. Current trend suggest, film will touch 167-168 crore nett or more by the end of second weekend. Film will go past 180 crore nett by the end of week two. Will need less than 20 crores from 3rd week onward to touch 200 crore. That is very much possible as film should retain good screening from week three onward also. Rohit is an Ajay Devgn Made Blockbuster Director without Ajay nobody wouldv known Rohit just like without Ajay , Akshay career wouldv vanished! Suniel Darshan and Akki Team Jaanwar ....pah your daily tributes to Ajay Sir and his Production company!! Film getting block buster because of rhoit shetty | people want to see rohit film because of full on entainment. So what happened to Dilwale?? Dil Dilwale get Blockbuster status because of Rohit? From Semi hit(average grosser) to Blockbuster status....? ?